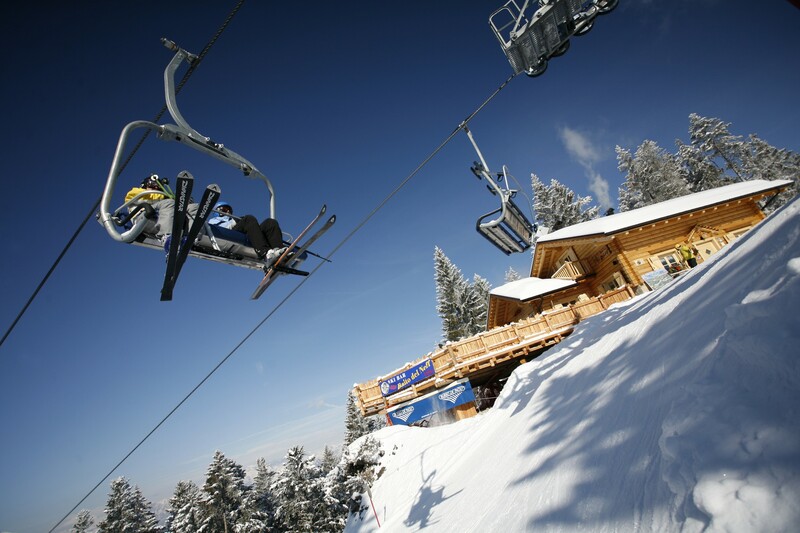 Lavarone is a small and cosy ski resort in the Southern Dolomites of Trentino. The privileged location makes Lavarone an ideal destination for travellers as it is easily accessible. For instance, it is located very closely to the main airports (Venice 140 Km; Verona 112 Km and Bergamo 189 Km) and only 30 km away from the highway (A31 and A22). The resort is located at the bottom of the Lavarone Ski Center, which is another privilege for our tourists, as they can access the ski center by feet or without driving long distances (max 2 Km away). Lavarone Ski Center offers 30 Km of slopes. The peculiar features of this ski center highlights the reason why the resort is ideal for families and students. The small dimension guarantees stillness and avoid confusion and business; the difficulty of the slopes is perfect for beginners and intermediate skiers; all the slopes are connected through blue runs allowing beginners and children to ski around the entire mountains; snowpark Avez Del Princep is an additional value for those that love freestyle or that would like to experience it. Also, safety is a priority in Lavarone, and this is shown by several aspects. Slope tracks comply with Regional safety norms; first aid service on the slope is guaranteed. The resort offers a wide range of facilities such as hotels, residences, apartments, pizzerias, restaurants and mountain huts where to taste delicious traditional dishes and wines of Trentino, and a lot of fun activities such apres ski, karaoke, disco, bowling and snowtubing. For those that love active holidays, we offer a lot of activities beyond skiing, such as nordic walking, snowshoeing, iceskating, cross-country skiing, indoor sport activities and swimming. For those looking for relax, we indulge our guest with massages and treatments in our wellness centers. Also, we organise cultural visits in the historical sites of the 1 World War, such as Belvedere Fortress which is now the Museum of the Big War. For those loving the genuiness of local products we can offer guided visits to the local Cheese Factory, Didactic Farm and Honey Museums. Animation in the hotel, miniclub at the bottom of the slopes, children target ski lessons and big playground area are thought to satisfy the needs of the youngest. These features make Lavarone the perfect location for families and students. Get Snow Reports, Powder Alerts & Powder Forecasts from Lavarone - Rivetta straight to your inbox!